Knytt is a service concept to help refugees learn Swedish. Swedes are crazy for homemade, exotic, secret recipes. 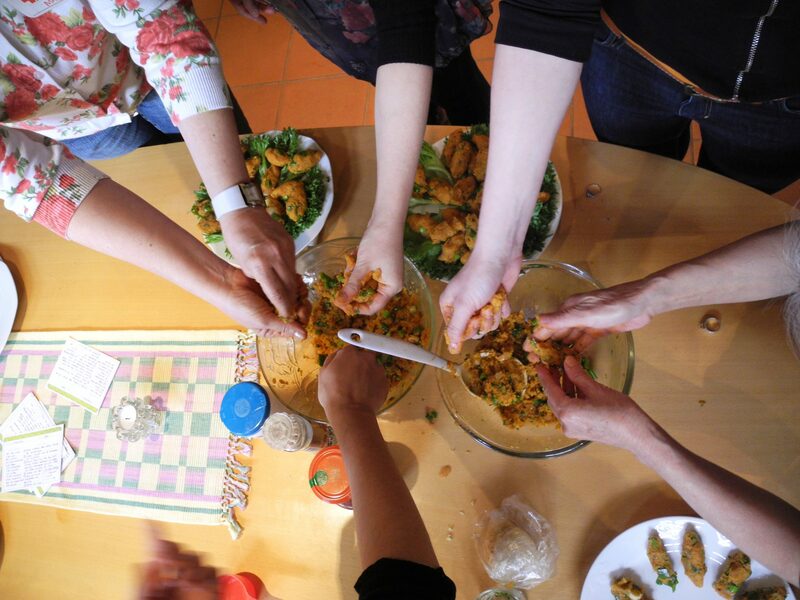 Through the online platform Knytt, different people can arrange to meet and cook together - all in Swedish. Cooking together provides an easy-to-talk-in context, the service is designed to helps build strong, mutual relationships. 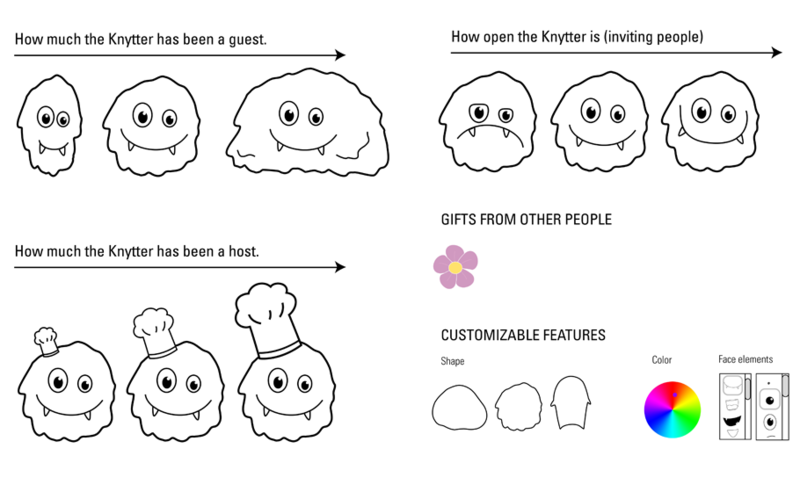 Knytt was developed by Ayse Gokce Bor, Miha Feuš and me in the 12-week “Language as participation” project at the Umeå Institute of Design in collaboration with the Interactive Institute and Microsoft. 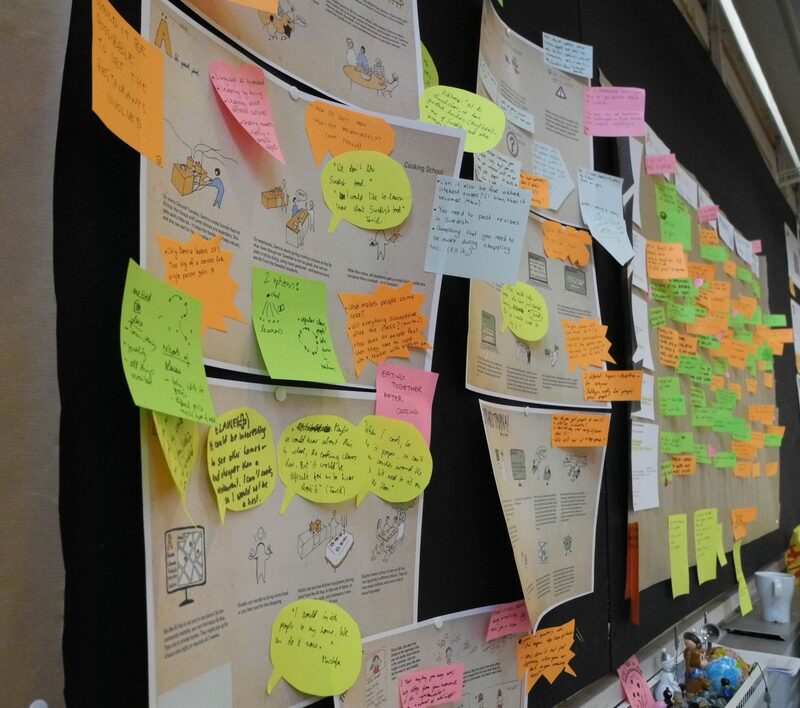 As a service-design project, the project was very collaborative: we worked very close as a team, conducted more than 20 interviews, two ideation workshops and kept introducing our ideas at different stages to different stakeholders. In many aspects, Sweden seemed more open to us than other countries: hierarchies are flat, many people are used to getting involved, and a lot of the legislation seems more supportive to refugees than in other countries. To learn the language, personal relationships play a crucial role: they can be a reason, as well as the means to learn. But the social norm in Northern Sweden puts high emphasis on privacy and personal freedom. This might seem exclusive to outsiders. However, with a reason, Swedes are often extremely open and helpful. 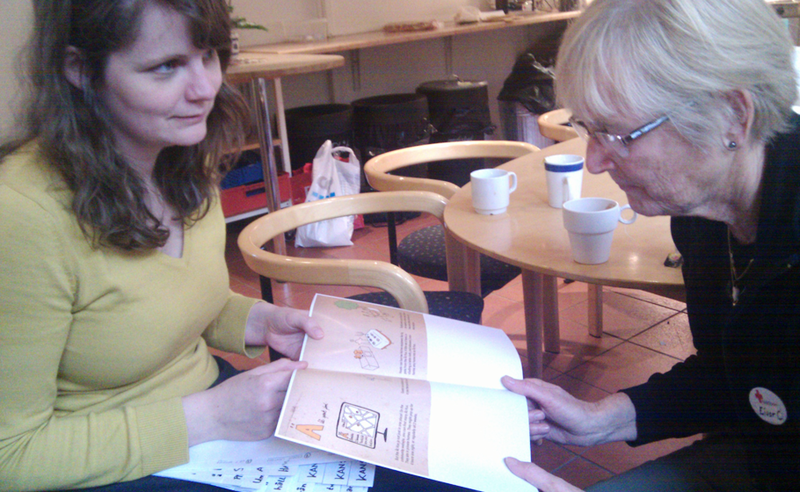 Ideation: How might we create more equal, sustainable relationships, as a basis, and reason for learning Swedish? With Food! We explored different possible “common grounds”, and finally decided to work on a service around food. Eating out in Sweden is more expensive than in most other European countries. Especially inexpensive quality/healthy food is scarce. At the same time, cooking is a very common hobby, and currently a strong trend. 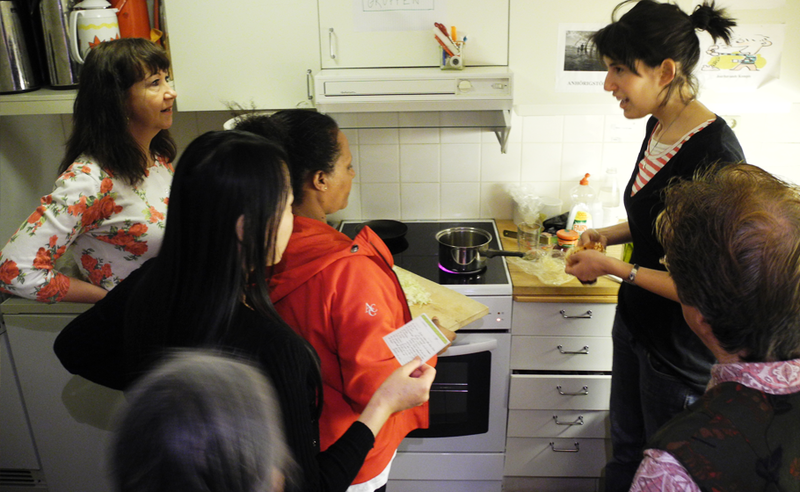 Cooking is taught in ordinary highschools, and even a relatively small town like Umeå has private cooking schools, a culinary institute, and many „foodies“. We focused on ideas that would feed on existing interests and behavioral patterns. 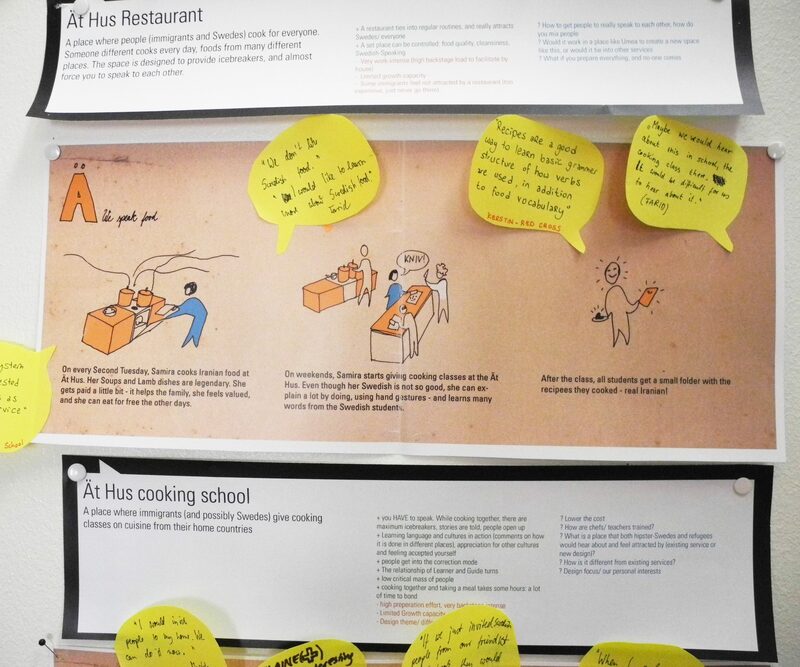 We arranged to test different components of our service and a “prototype event” in a Swedish-learning group at the Red Cross section in Umeå. 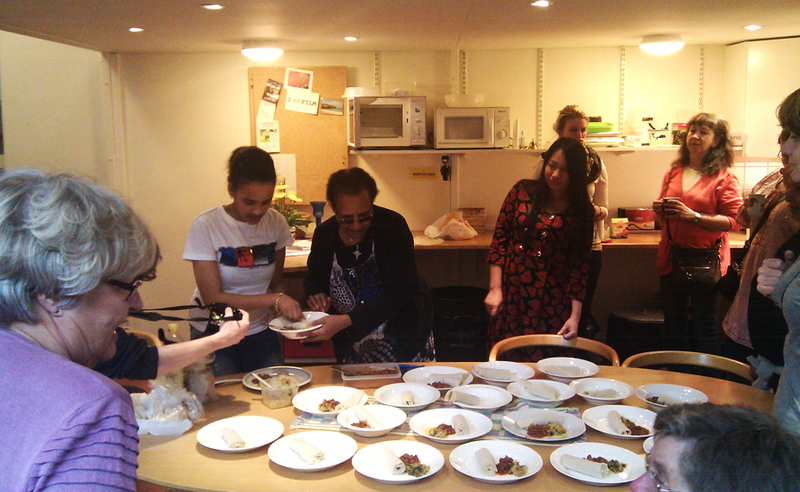 The concept worked: Without our doing, the group continued with a similar event, taught by a different “cook” afterwards. We developed wireframes and sample screens for the app, as well as examples for other physical evidence. When hosting an event, just drag and drop visitors into a circle to invite them. You can also see who knows each other, and leave blank spots for strangers. For personal profiles, we decided not to use profile photos, but monster avatars. The looks of these monsters, reflect user behavior. This way, when other people browse through profiles, the first impression is not on looks, but on how people act. They can later access a photo too. Many of the people we spoke to felt that they were judged upon their looks – stereotypes are the basis for most judgement. We cannot avoid this, but at Knytt, the first filter is different.